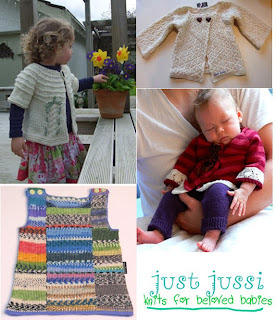 Just Jussi: Bundles of Joy! there is a lot going on here - I think it is Spring fever! I have made the decision to move the knitting machines out of my studio - they haven't seen much use in a long time and are taking up space, I feel the need to de-clutter and rework the studio into a room people feel comfortable and relaxed, with a focus on hand knitting. 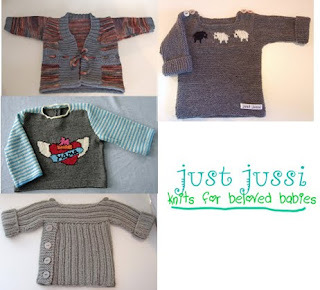 Tidying up the website and Ravelry pages, I have listed 2 bundles of patterns (available on the website or directly from Ravelry) one is definitely more "girly" and is called "Sugar and Spice" the other is more unisex but called "For the boys" (to be fair) you get 4 patterns for $12.00 US (usually $5.00 US each) that's a saving of $8.00 US - that's got to be good! Next target: the vege garden - that's tomorrow's job!